Stunning. Remarkable. Breathtaking. These are some words we would use to describe the unfolding of Jasmin and Rod’s wedding celebration. Jasmin and Rod were having a destination wedding in San Diego. 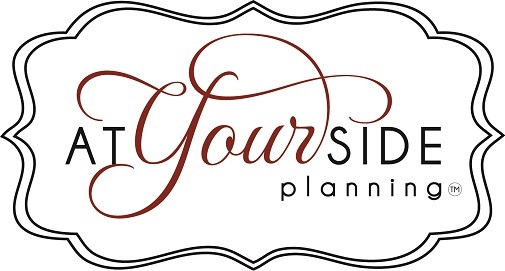 They came from San Francisco and were referred to us by a good friend of owner, Diana Romero. 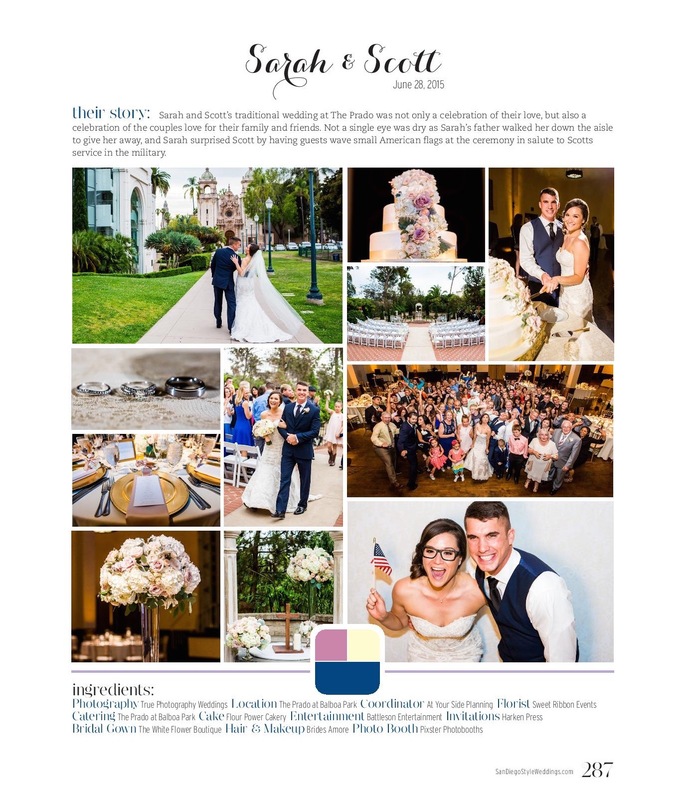 The couple reached out to us last year and we immediately became excited about their wedding vision. They already had the perfect venue – Seaside Scripps Forum in La Jolla with an amazing view of the Pacific ocean. A gorgeous wedding transpired through the blending of the Persian and Vietnamese cultures. 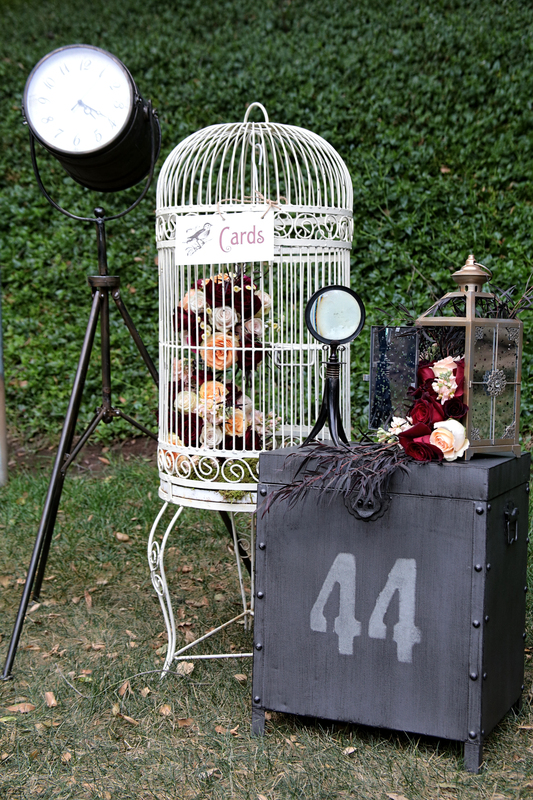 We worked together with the perfect vendor team to design their spectacular day. 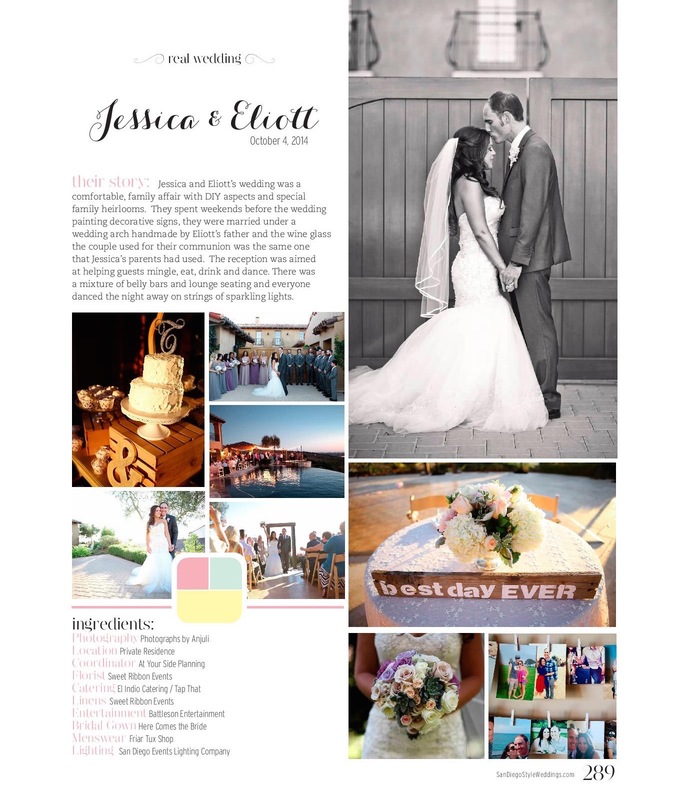 Jessica + Eliott’s Real Wedding Featured! 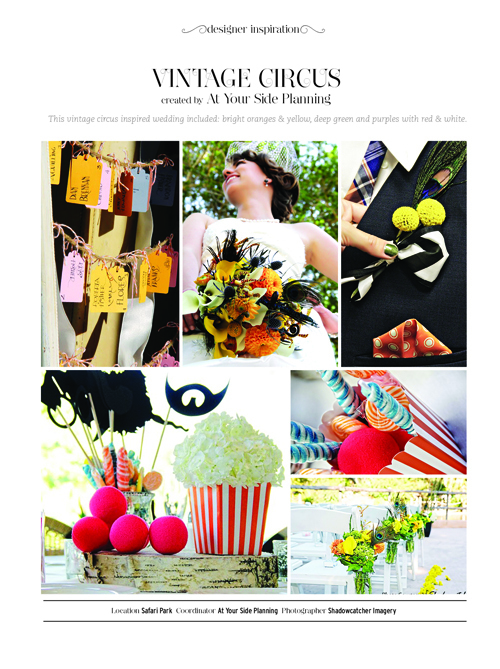 We have been featured in San Diego Style Weddings Magazine! 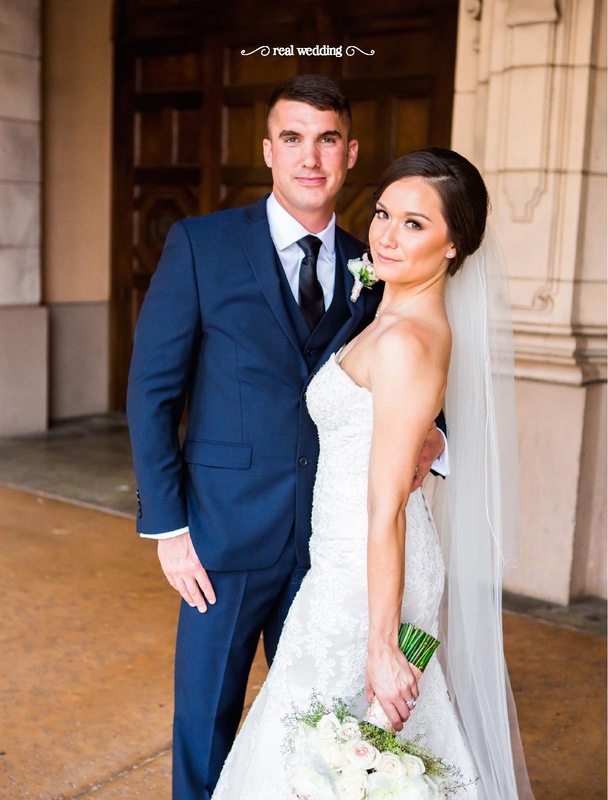 Jessica + Eliott’s October 2014 wedding had beautiful detailing that we love and hope you do too! 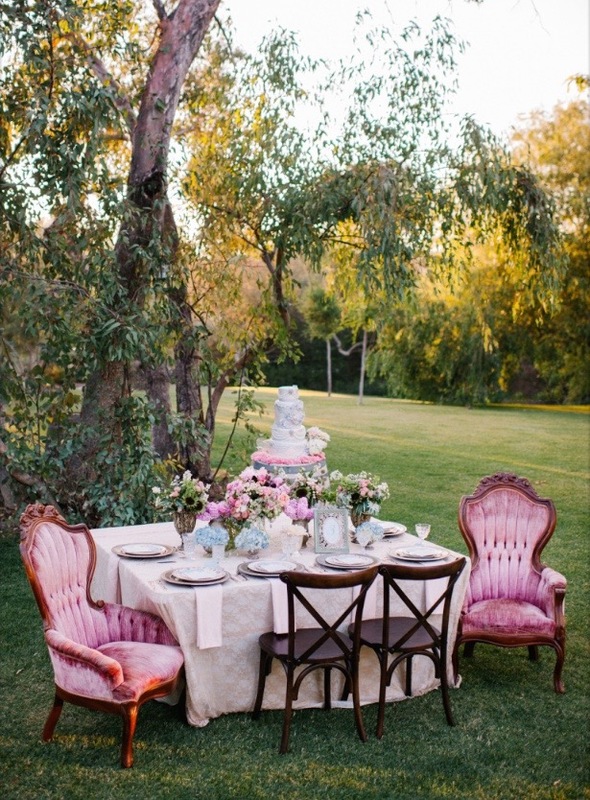 From the abundance of signage to the cake and the color scheme, this wedding was absolutely stunning! 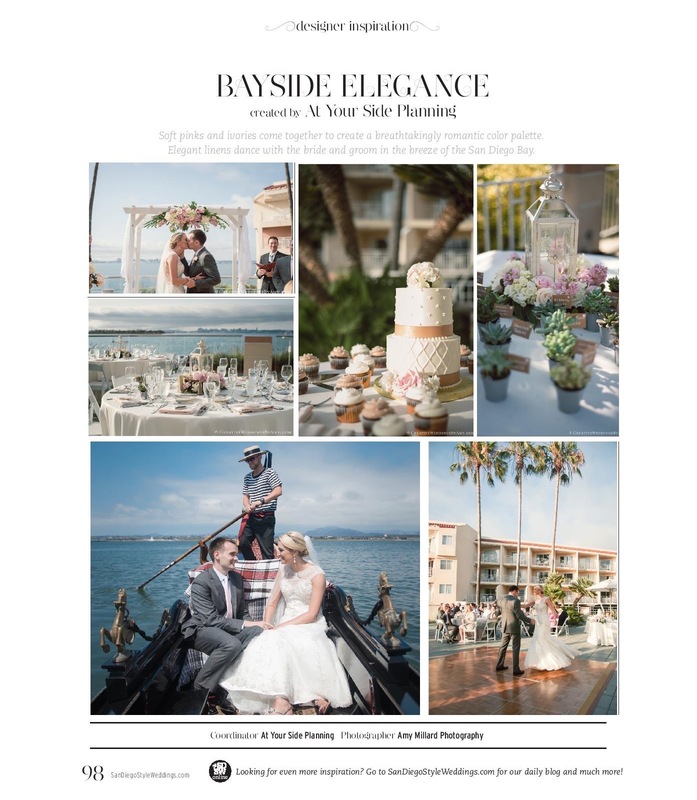 Pick up your copy of San Diego Style Weddings Magazine to see this beautiful wedding in print. 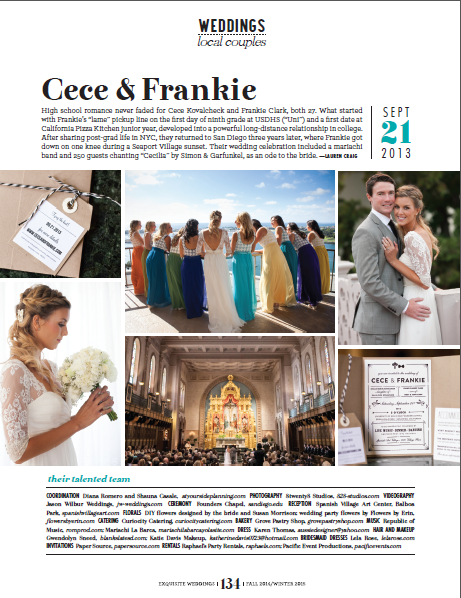 Cece and Frankie’s gorgeous wedding was featured in the latest issue of Exquisite Weddings! 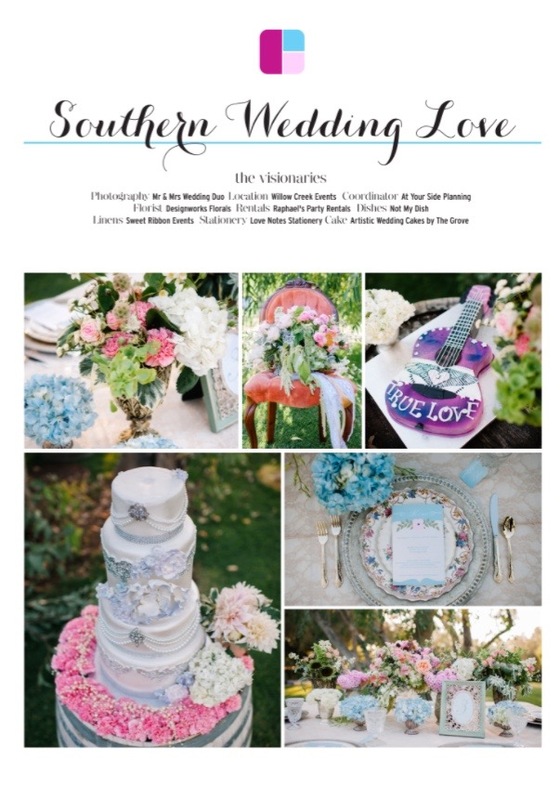 We are delighted to be featured today on My Wedding Reception Ideas Blog. 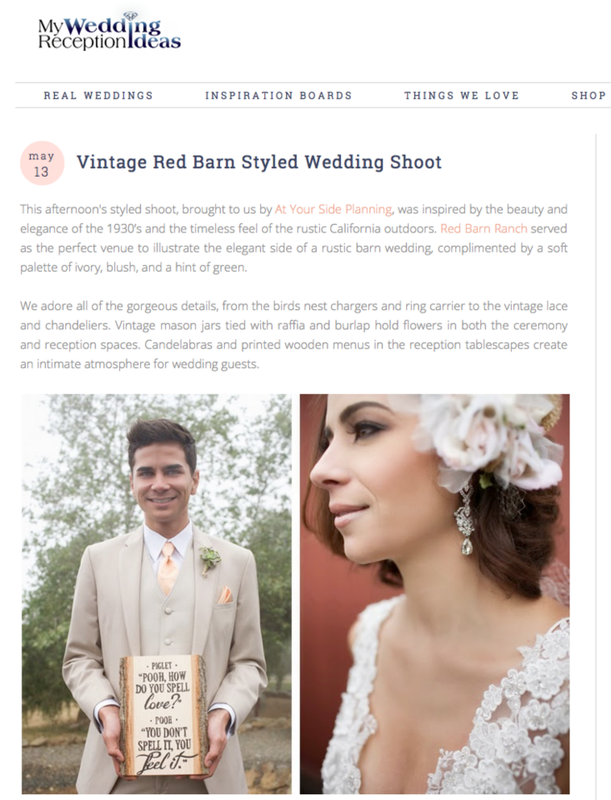 Our romantic and vintage wedding photo shoot is featured today on San Diego Style Weddings!